A cancer specialist with more than two decades of experience, Dr. Francis Giles has led the development of novel drugs, immunotherapies, and other highly targeted approaches, including cancer-directed viruses, monoclonal antibodies, and molecularly directed agents. 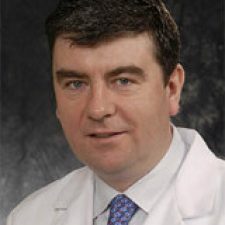 Dr. Giles currently serves as Director of Developmental Therapeutics at the Robert H. Lurie Comprehensive Center of Northwestern University where he has also served as Deputy Director and as Chief of the Division of Hematology/Oncology, Northwestern University Feinberg School of Medicine. He previously served as Deputy Director of the Cancer Therapy and Research Center at the University of Texas (UT) Health Science Center, San Antonio, and Chief of the Division of Hematology and Medical Oncology and Director of the Institute for Drug Development. His prior positions include serving as Chairman, Clinical Research Committee, and Professor in the Division of Cancer Medicine at the UT MD Anderson Cancer Center, Houston; and as a faculty member at the University of California, Los Angeles, and the University of North Carolina at Chapel Hill. He is the founder and Chairman of both the International Oncology Study Group and the Developmental Therapeutics Consortium. Dr. Giles has led the development of novel drugs, immunotherapies, and other highly targeted approaches, including cancer-directed viruses, monoclonal antibodies, and molecularly directed agents. He has served as principal investigator on numerous national and international First in Human, Phase I, II, and III clinical studies of many novel agents, and holds numerous patents and technology licenses.